Gosh, it has been more than two weeks since my last post! We started our holidays with an enjoyable road trip, but after that there has been a flu-like sickness in everyone in my family. That has kept me so busy, I’ve barely been checking other posts…sorry if I have missed yours! But I’m back again at Fiesta Friday #49 where Angie is joined by co-hosts Mr. Fitz and Kaila, bringing some cupcakes to celebrate the new year! 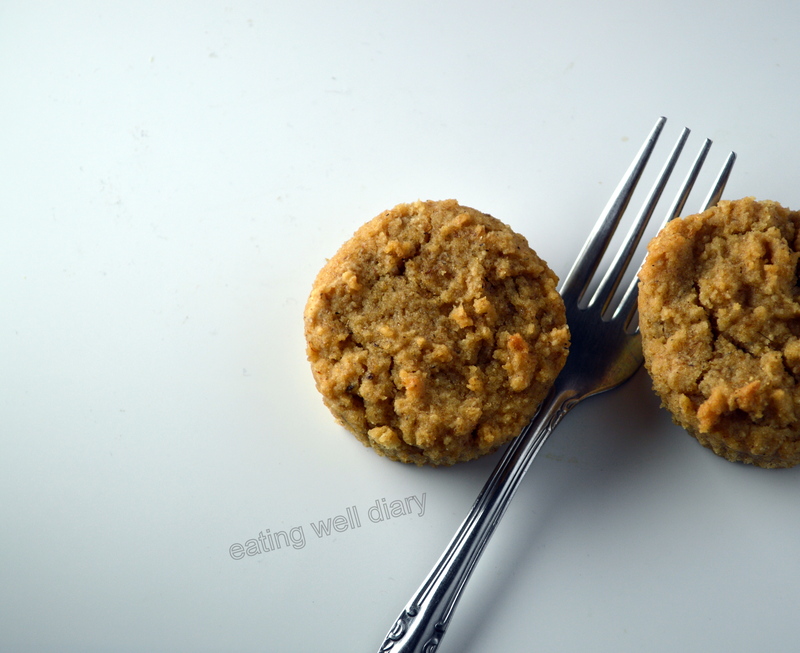 These are gluten-free and eggless, but you’ll hardly be able to tell because the texture is so wheat-like, with no chalk-like taste that most gluten-free flour blends tend to have. No, I have not used xanthan gum. 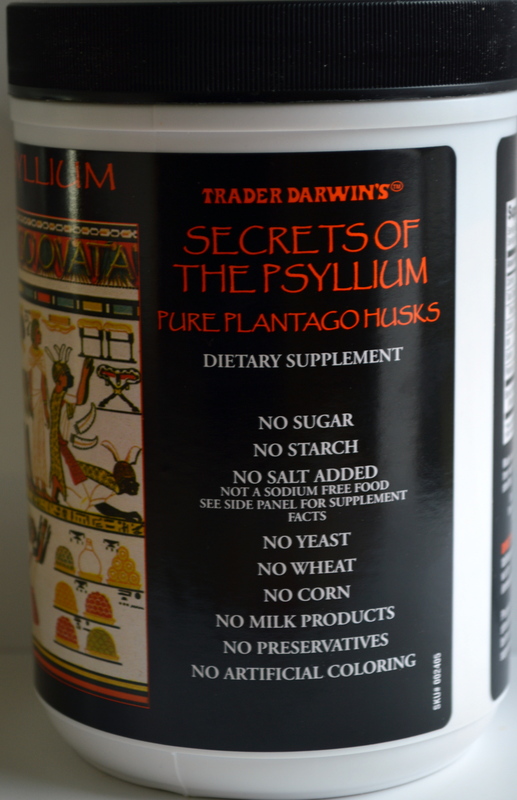 The secret is the use of psyllium husks, that are tasteless but offer excellent binding and healthy fiber. 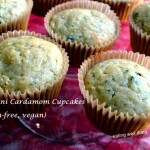 I recently came across these vegan, grain-free cupcakes using psyllium husks and modified it with the use of sorghum flour and yogurt. 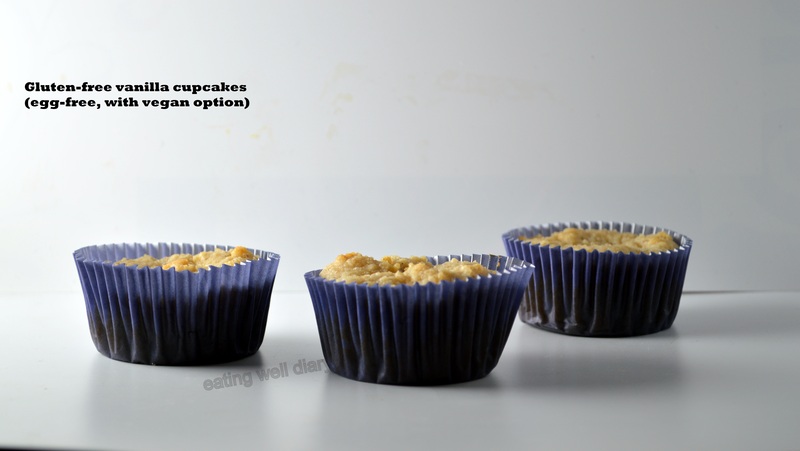 The result are these soft and moist cupcakes- just the perfect bite-size snack to start the year on a healthy note! 1. Pre-heat oven to 350 °F and line a muffin pan with cupcake liners. 2. Add psyllium husks to lukewarm water. Add yogurt, melted butter, sugar and vanilla extract. Whisk and allow to sit while the dry ingredients are being combined. 3. Combine sorghum flour, coconut flour, potato starch, salt and baking powder in another bowl. 4. 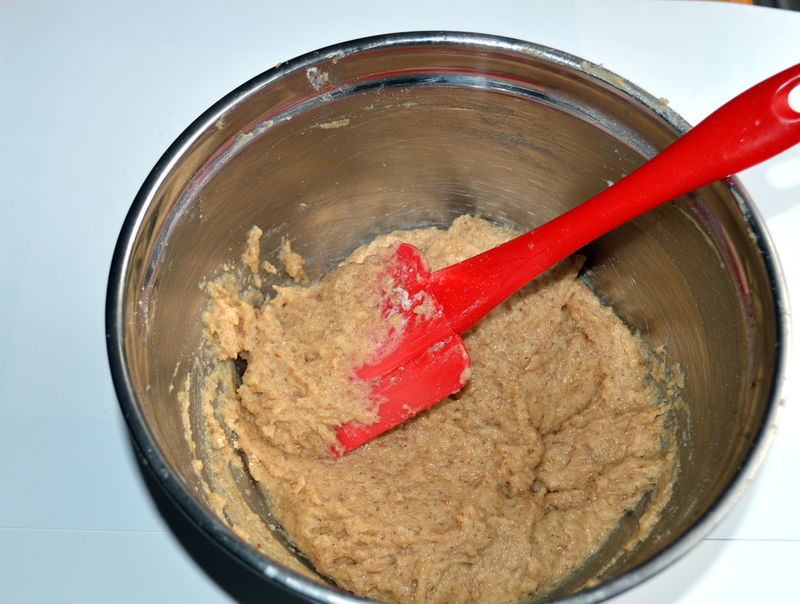 Add dry to wet mixture to form a thick batter. 5. Fill liners with batter about 2/3rd full and bake for 27-30 minutes or till a toothpick inserted in the middle comes clean. Allow to cool completely before enjoying them! A very happy new year Apsara :). 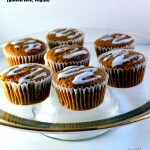 Those cup cakes look good and recipe is really beneficial. Loved your first click. Happy new year to you too, Sonal! Thanks, I had to force myself to return to blogging, and took some hasty pictures. Glad you liked the first one! Happy new year Apsara:-) wat a delicious way to start this year..
thank you, Vidya. Wish you a happy new year too! they look great! Thanks for sharing at FF49! Thanks, Chitra. Best wishes for a great year ahead! Very interesting to know that psyllium can be used in cooking and especially in cakes! Yes, this was a new discovery, but I’m excited about trying more! Happy New Year Apsara! I love vanilla and these cupcakes look delicious. Hope you family is better soon Apsara! 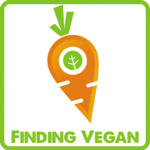 Love the healthy ingredients here, especially the isabgol! Great idea! We are recovering, but flu does take a while…thank you, Naina. This is great! I’ve learned that in gluten free baking, it’s important to give the weight of the flours. Brands are frequently inconsistent, so weight is more useful than a simple measurement size like a quarter cup. Thank you so much for giving us the weights, and of course, for brig in these cupcakes to the fiesta! Happy 2015! lovely healthy cupcake to begin the year with. lovely Apsara. Hope you have all recovered now. I remember a few yrs ago when I had flu – it was dreadful – ended up in the hospital. such a great job despite the setback 🙂 i’ve never used psyllium – should try it! Reblogged this on Recipes From Eden. Wonderful use of psyllium husk. 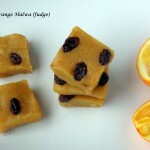 A sweet way to add fiber to one’s diet.